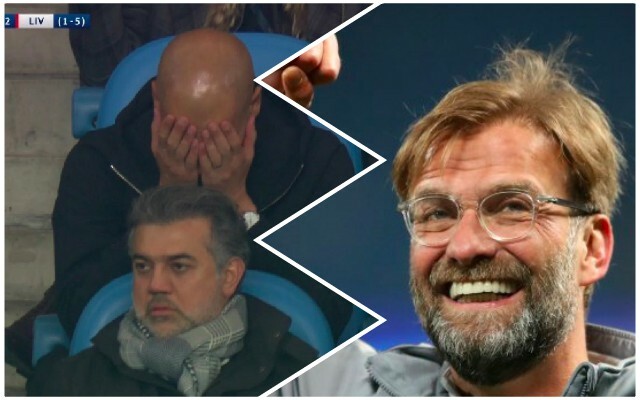 While Liverpool were securing 4th spot yesterday, Manchester City became the first Premier League side to reach the 100 point marker after a sensational domestic campaign. They beat Southampton with a late goal which means they ended the season a full 19 points ahead of 2nd placed United and 25 in front of Liverpool. But while our inconsistency has made challenging for the title impossible, in direct match-ups with Pep Guardiola’s side we’ve proved we’re more than their equal – winning the past three encounters in the PL and Champions League – scoring nine goals in the process. Guardiola has praised Liverpool for our offensive style, explaining the differences between our football and City’s. The Spaniard has also wished us luck for the Real Madrid clash on May 26, after exiting at our hands in the quarters, of course. “I think both teams want to attack, Tottenham as well. It doesn’t matter what happens, they want to try, want to attack,” he told the Independent. “But I think the way they attack and defend is a little bit different. They play more ‘here’ [centrally]. “Sometimes we look for more sides, they are more direct – the wingers, Mané, Salah, Firmino, they play more together. They attack more in front. But I think the idea is quite similar in terms of they want to try win the game for themselves and they don’t wait for what will happen. Fair points all round, to be honest! It would be phenomenal if Liverpool can beat Real in Kiev, but either way, we face a tremendous fight on our hands to compete for 1st spot next season. Guardiola’s City will reinvest this summer, so we need to be bold in the transfer market and have plenty of luck with injuries and refereeing decisions next term!